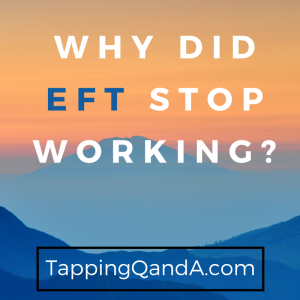 There is an interesting phenomena that crops up when using EFT. Sometimes you can be using tapping successfully for a while, but then it stops working. There are two main reasons why this happens. In this week’s podcast we are going to explore both of these reasons and what you can do to make your tapping effective again. Thank You. That was very informative and exactly what I needed to know. Been listening to your podcasts and wanted to say that it is appreciated very much. A lot of value that you add by doing so.